The Epiphany Club follows Victorian adventurers Dirk Dynamo, Sir Timothy Blaze-Simms and Isabelle McNair as they search for the lost Great Library of Alexandria. Faced with every sort of peril, from mutated bears to wily ninjas, can they find the Library and its fabulous secrets before their criminal opponents do? 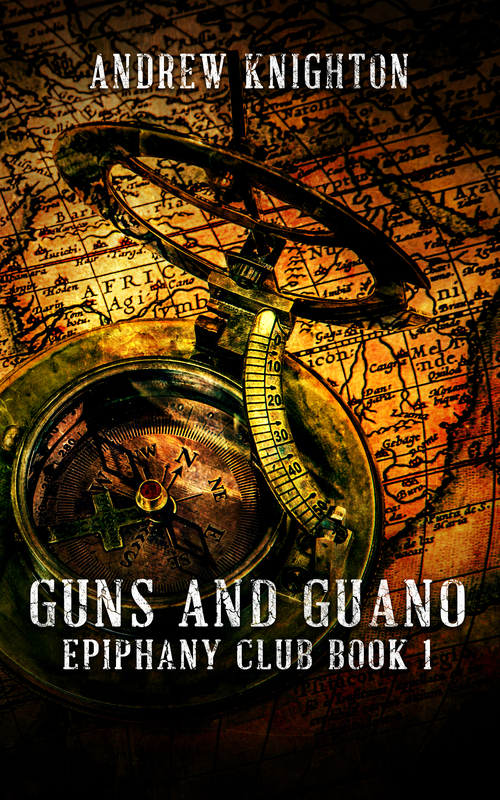 Guns and Guano is available from all good ebook stores. Adventurer Dirk Dynamo is glad to be back in civilisation, with the first two clues to the location of the Great Library of Alexandria. But when ninjas kidnap his best friend and steal a priceless artefect, Dirk is forced to pursue them across London and into the sewers below. Faced with deadly assassins and the strange followers of London’s Underlord, can Dirk save Sir Timothy and the tablet before he finds himself on the wrong end of a shuriken? 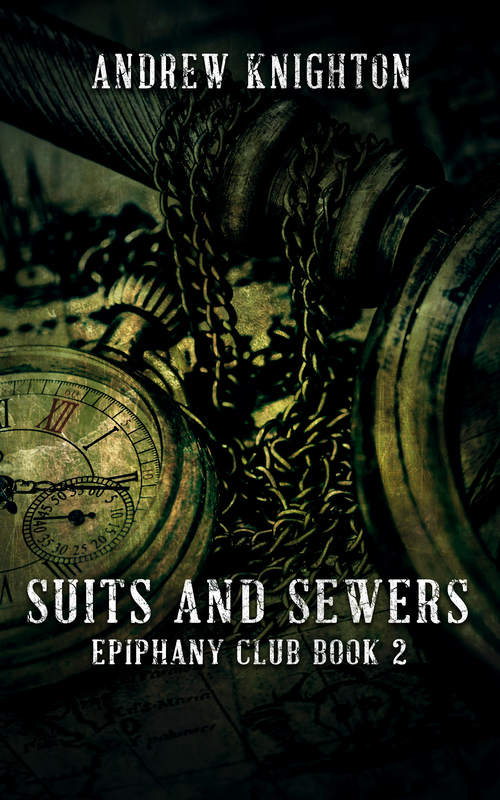 Suits and Sewers is available from all good ebook stores. Adventurer Dirk Dynamo is back in Paris, in pursuit of the final clue to the location of the lost Great Library. But Paris is a city at war, with Prussian troops closing in from the east and the King in Shadow preparing to rise up in revolt. As violence reaches the city streets, can Dirk retrieve the last tablet, or will the path to the Great Library fall into the hands of a criminal mastermind? 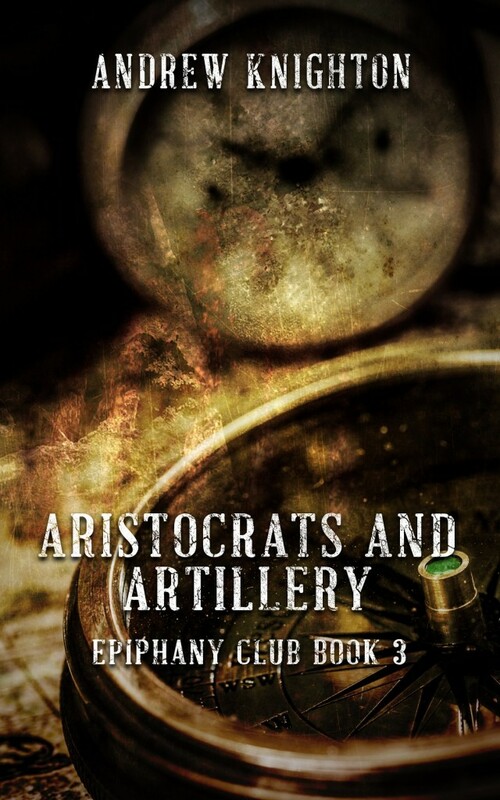 Aristocrats and Artillery is available from all good ebook stores. 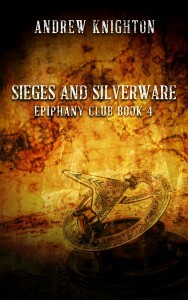 Sieges and Silverware is available from all good ebook stores. Dead Men and Dynamite is available from all good ebook stores. Collects all five novellas in the Epiphany Club series. Available in all good ebook stores and as a print edition via Amazon. Varus is the fiercest soldier in the Roman legion, and the most undisciplined. Fighting Thracian pirates on the high seas, he faces attacks not just from spears and arrows, but from divine magic. With the enemy closing in, Varus finds himself in a desperate battle for survival, made worse by his own divided instincts. Will Roman blades be strong enough to survive against ocean gods? 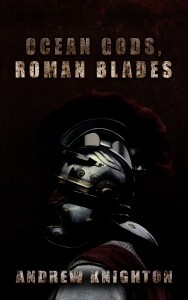 Ocean Gods, Roman Blades is available as an ebook from Amazon. So get on board and ride the mainspring to adventure. You can read more about this collection of steampunk short stories, including what other readers thought here. It’s available for the Kindle through Amazon or you can get a copy for free by signing up to my mailing list. Action, art and mystery all feature in this collection. You can read more about it, including what other readers thought here. It’s available as an ebook via Amazon. We all tell lies to get through the day, some of them to ourselves, some to other people. Now read the extraordinary lies of the future in these nine short science fiction stories, available on Amazon. You can read more about the collection here. A demon detective and a steam-powered samurai. An engineer from the distant past and a pilot from the far future. Love, loss, pain and triumph in worlds beyond our own. Enjoy brief trips to other realities in these fifty-nine flash stories including fantasy, steampunk, science fiction and historical fiction. 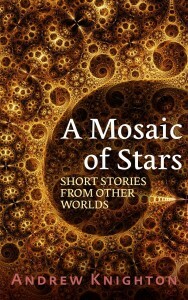 A Mosaic of Stars collects the first fourteen months’ worth of my weekly flash stories. It’s available as a Kindle e-book. A collection of all the fiction I published on my blog in 2016 – a mixture of science fiction, fantasy, steampunk, and historical fiction. There are refugees on the spaceship to Io, smugglers on the Phoenix Shore, and some very cold legionaries stuck on Hadrian’s Wall, along with dozens of other characters and settings. There are even reappearances by characters from some of my previous stories, such as cynical British space diplomat Julian Atticus and the demon detective Shadowvalt. 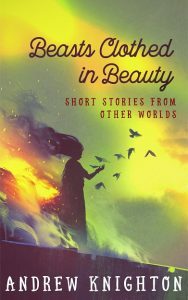 Beasts Clothed in Beauty is available as an ebook from Amazon. 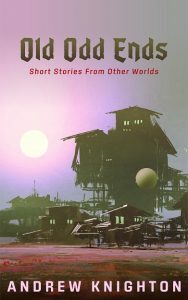 Old Odd Ends collects all the short stories I published on my blog in 2017. It’s available as an ebook from a wide range of stores. All the Beautiful Sunsets collects all the short stories I published on my blog in 2018. It’s available as an ebook from a wide range of stores. These stories are published as e-books through Amazon and Smashwords, and are available for free in most e-book stores. How far would you go for love, or for justice, or for the perfect gearwheel? Thomas Niggle grew up a mudlark, hunting for scrap on the polluted banks of the River Burr. One of the countless poor living in the shadows of Mercer Shackleton’s vast factories, he has dragged himself out of poverty using his mechanical skills. An encounter with Gloria Shackleton, the Mercer’s daughter, offers Niggle the possibility of love, but it also offers something else, deep in the heart of the Mercer’s domain. What hope can the future hold for a boy raised amidst the mud and brass? 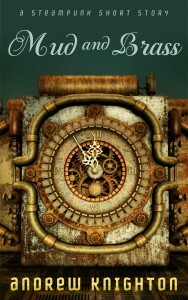 You can read more about this steampunk short story, including what other readers thought here. It’s available for the Kindle through Amazon and on other formats via Smashwords. Foul mouthed Holden Flynn is a policeman on the rocks. His marriage has fallen apart, and now he’s the only detective in occupied Greykirk, a city scarred by interplanetary war. Trusted by no-one, supported by no-one, Flynn is faced with the tangled loyalties of an occupied planet and the broken technology of a shattered city. Everyone knows who killed Annie Talbot, but can Holden Flynn work out why, and catch the man responsible before another tragedy takes place? 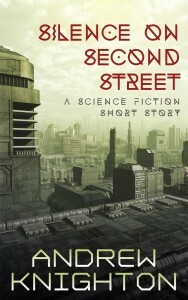 Silence on Second Street, a science fiction short story, is available as a free ebook on Amazon and Smashwords. An apprentice magician on a Mediterranean pirate galley, Saul is learning the art of controlling demons. Pursued by the armies of Rome, his shipmates fight to retain their freedom, while Saul struggles with oppression at the hands of his master. When even demons are bound in chains, can a young man make himself truly free? A short story of magic, power and resistance in the world of ancient Rome. 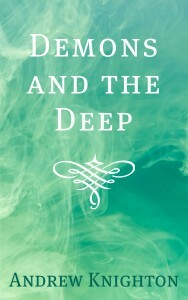 Demons and the Deep is available for free on Amazon and Smashwords. Hob was a simple peasant farmer until idealism turned him into a rebel. Now he’s an outlaw living in Sherwood Forest, seeking justice at the end of an arrow. Under the leadership of Robert Deyville, Hob enjoys the outlaw life, feasting beneath the stars and robbing the supporters of a corrupt regime. But as he grows closer to his companions, the darkness of their life starts to show. With not just friendship but his life at risk, Hob struggles to separate right from wrong. Can he do what is right and survive to see the results? Is there such a thing as honour among thieves? 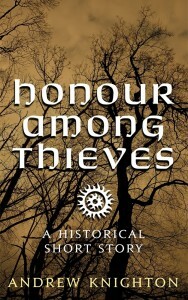 ‘Honour Among Thieves’, a historical short story, is available for free as a Kindle e-book via and Amazon and in epub format from Smashwords.